CALLING ALL: Realtors, builders, contractors, designers and suppliers! 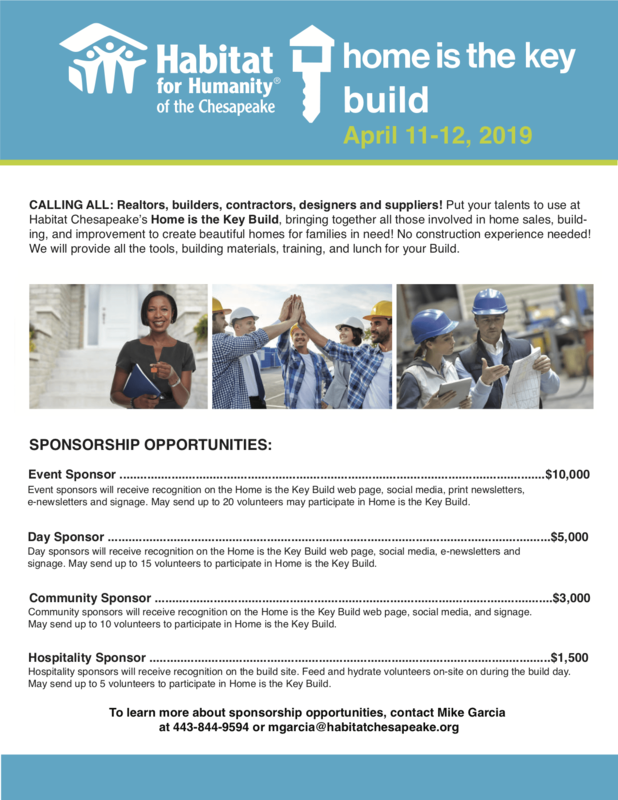 Put your talents to use at the first ever Home is the Key Build, bringing together all those involved in home sales, building, and improvement to create beautiful homes for families in need! 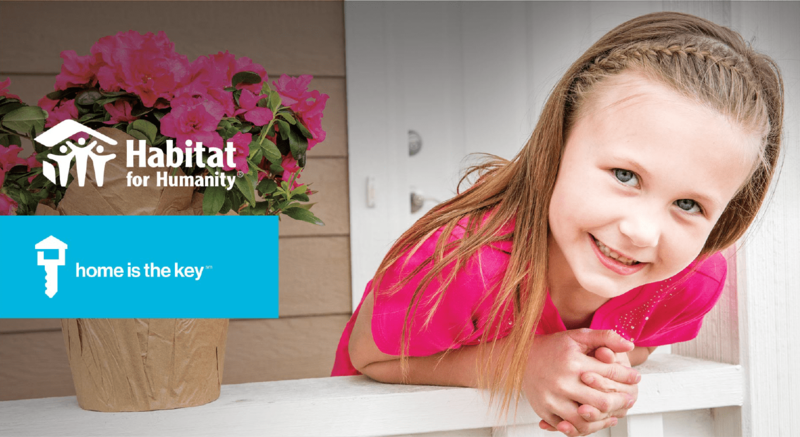 Become a Home is the Key Build Sponsor! Ready to become a sponsor? Want to learn more? We’re happy to answer your questions, share more about what we do, and work with you and your company to build a custom sponsorship packet that meets your needs. Please contact Mr. Michael Garcia, Director of Donor Relations at [email protected] or by phone at 443.844.9594.